Throughout October in support of Breast Cancer Awareness Month, Bobbi Brown will be donating £5 of every sale of their gorgeous limited edition French Pink Set to The Breast Cancer Research Foundation. 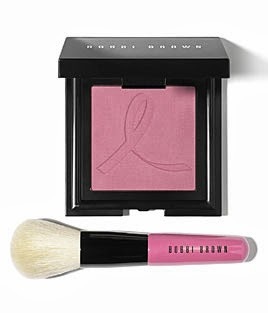 The Bobbi Brown Set contains French Pink Blush, embossed with the BCA ribbon in a mirrored compact. Also included is a Mini Face Blender Brush with a bright pink handle.